From Gospel to The Grateful Dead, The Persuasions are an a capella group whose musical tastes know no boundaries. The group’s five original members, Jerry Lawson, Jesse “Sweet Joe” Russell, Jayotis Washington, Herbert “Toubo” Rhoad, and bass vocalist Jimmy “Bro” Hayes began singing on the street corners of Bedford Stuyvesant, Brooklyn during the early 1960s. Jerry Lawson was their arranger, lead singer and producer for most of their career until his departure in 2003. Their big break came in 1968, when Stan Krause, who owned Stan’s Square Record Store in New Jersey, played a concert recording of theirs over the telephone to his friend, Frank Zappa. Zappa, being a doo wop aficionado, was intrigued enough to fly them out to LA where he produced their 1969 debut album A Capella for his Bizarre/Straight record label. Over the years, the group recorded 26 albums for numerous labels including Zappa’s Bizarre/Straight, Capitol, MCA, A&M, Elektra, Flying Fish, Rounder, Earthbeat, Chesky and Grateful Dead Records. Their background vocals grace albums by artists as far flung as Joni Mitchell, The Grateful Dead, Stevie Wonder, Don McLean, Phoebe Snow, Ray Charles, Liza Minnelli and a whole host of other artists. 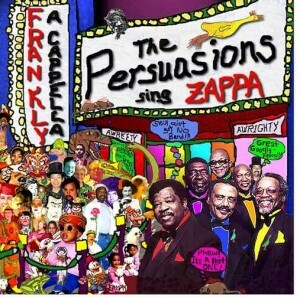 By way of thanks for producing their debut record, The Persuasions recorded the album Frankly A Capella in 2000. On the album, Zappa classics from early and late in his career get the Persuasions treatment including a capella versions of “Lumpy Gravy,” “The Meek Shall Inherit Nothing,” “Cheap Thrills,” “Love Of My Life,” “You Are What You Is,” “Hotplate Heaven At The Green Hotel,” and “Anyway The Wind Blows.” Today’s Song Of The Day is a cover of “Electric Aunt Jemimah” which originally appeared on the Mothers Of Invention album Uncle Meat. The album also includes cameos by Zappa sidemen Bruce Fowler, Bobby Martin and Mike Keneally. 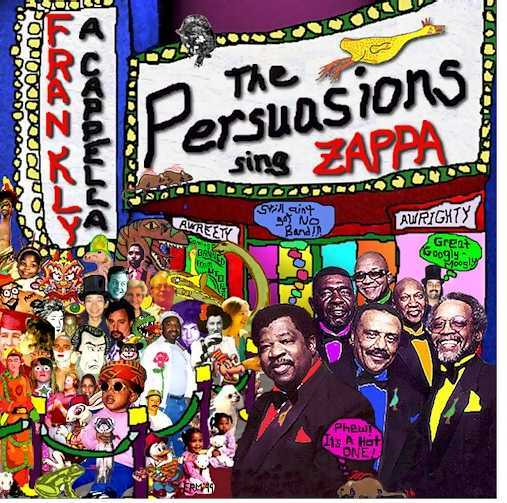 The group followed their Zappa tribute album with one for The Grateful Dead called Might As Well: The Persuasions Sing Grateful Dead where they took on the Dead classics “Bertha,” “Here Comes Sunshine,” “Must Have Been The Roses,” “Ship Of Fools,” “Greatest Story Ever Told” and several others. The group’s baritone, Herbert “Toubo” Rhoad died in 1988 while on tour, and Jerry Lawson left their ranks in 2004; however the band still continues to perform today. The Persuasions were a huge influence on the modern vocal groups, Take 6, The Nylons and Boyz II Men, and if ever a group deserves to be in heavily flawed Rock ‘N’ Roll Hall Of Fame, it’s The Persuasions.